The North American Free Trade Agreement (NAFTA) between the United States, Canada, and Mexico was negotiated more than 25 years ago. Over the past quarter-century trade has changed drastically, especially online, so the United States is now planning to modernize the international deal. One of the topics that has received a lot of interest from various experts and stakeholders are safe harbors. In the US, Internet services are shielded from copyright infringement liability under the safe harbor provisions of the DMCA, but in Mexico and Canada, that’s not the case. The latest round of NAFTA renegotiations are currently taking place in Montreal and this is heating up the debate once again. Several legal scholars and advocacy groups believe that such US-style safe harbor provisions are essential for Internet services to operate freely on the Internet. A group of more than fifty Internet law experts and organizations made this clear in a letter sent to the negotiators this week, urging them to make safe harbors part of the new deal. “When NAFTA was negotiated, the Internet was an obscure electronic network. Since then, the Internet has become a significant — and essential — part of our societies and our economies,” the letter reads. The safe harbors in the Communications Decency Act and the DMCA ensure that services which deal with user-generated content, including Google, YouTube, Facebook, Twitter, and Wikipedia, are shielded from liability. This immunity makes it easier for new user-generated services to launch, without the fear of expensive lawsuits, the argument goes. However, not everyone sees it this way. In a letter cited by Variety, a group of 37 industry groups urges U.S. Trade Representative Robert Lighthizer to negotiate ‘strong’ safe harbor protections. Strong, in this case, means that simply responding to takedown notices is not always enough. “If these anti-IP voices succeed, they will turn long-standing trade policy, with creativity and innovation at its core, on its head by transforming our trade agreements into blueprints for how to evade liability for IP theft,” they write. 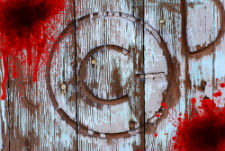 The MPAA and RIAA, which also signed the letter, previously stressed that the current US safe harbors are not working. These industry groups believe that services such as YouTube exploit their safe harbor immunity and profit from it. The RIAA, therefore, wants any negotiated safe harbor provisions in NAFTA to be flexible in the event that the DMCA is tightened up in response to the ongoing safe harbor rules study. So, what should a content industry-approved safe harbor look like then? The music industry group says that these should only be available to passive platforms that are not actively engaged in communicating and do not generate any revenue from pirated content. This would exclude YouTube and many other Internet services. While it’s clear that the ideas of both camps are hard to unite, there’s still the question of whether there will be a new and improved NAFTA version at all. President Trump has previously threatened to terminate the agreement.